Account with us, and order online today! This Jetting Chart provides a base line starting point. 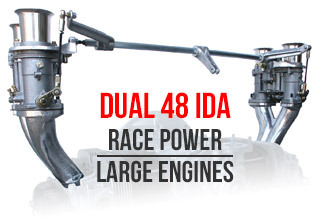 Every engine responds differently, and final jetting changes are most often determined by the engine builder or tuner. 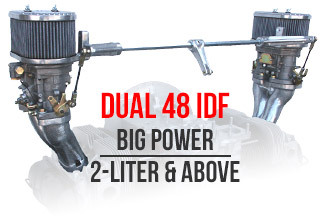 Engine size, cam, cylinder heads, ignition system, compression ratio, exhaust system, type of fuel, the vehicle and type of driving are all key elements in final calibration. The selection of main gas and air correction jets is determined by venturi size. 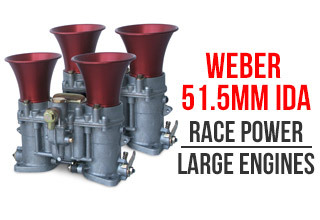 The venturi sizes listed below are the sizes supplied by Weber in new carburetors. The use of larger venturi will increase airflow, and larger main gas jets than noted below will be required. 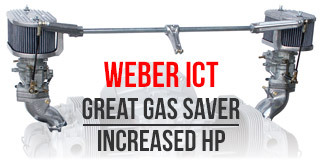 Download a PDF version of the Weber Jetting Chart. 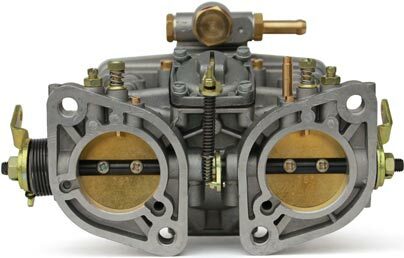 NOTE: Drill 2mm Hole in each Throttle Valve for Single Carb setup. A larger selection of Weber Rebuild Kits to fit your application can be found here. 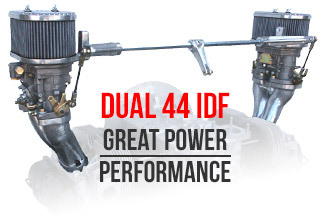 CB Performance has two Weber IDF Update Kits available, 40 IDF, and 44 IDF.